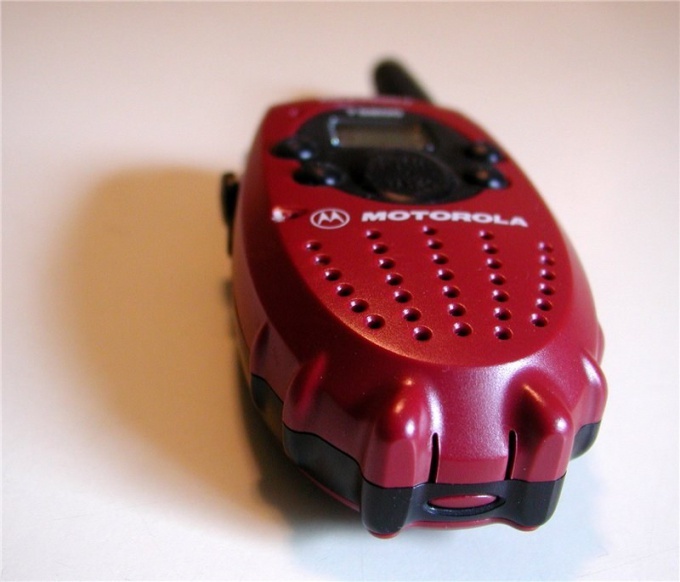 Radio, abbreviated as portable radio, there are different types. Some of them don't require permits at all, on others they must be obtained under the simplified scheme, and for use by third will have to undergo a complex bureaucratic procedure. By purchasing a radio station operating at a frequency of 27.14 MHz with output power less than 10 mW, will begin its use immediately after removal from packaging. No permission to use it, not required another since 1988. True, there are such radios at a distance not exceeding a few tens of meters, in addition, they are single-channel. No wonder they are even formally considered to be childish, although in practice used not only by children. If you want to use radios without your permission, but don't want to be limited to such small rasstoyaniem, purchase devices standard LPD or PMR. They can be used without complying with any formalities since 2006. The first of them must have an output power not exceeding 10 milliwatts, inclusive, and the second not more than 0.5 W, inclusive. Remember, however, that the selling radios standard LPD with power output as the PMR is very frequent. Formally, the use of such stations illegal. To start using the radio range of si-Bi, it is necessary to conduct in its relation to the simplified registration procedure. Buying a station, ensure that its power output does not exceed 4 watts. Find a local branch of an organization called Rossvyazkomnadzor, bring back to the station and register. This procedure is free. Then find another organization called radio frequency centre. Find out in this whether in your area the obligation to obtain a Callsign. If so, make a small fee and get the Callsign. Check the validity of the documents received and update them in a timely manner. If you live in Ukraine, Belarus or the USA, to use the radios range CB your. Limit the permitted capacity of such station learn of local law. If you wish to use the Amateur radio station of the fourth category (and among other portable almost never happens), you first contact your local radio club who have the appropriate authorization, a statement about the desire to pass the exam. Considered your application will be in about a month, during which the exam should prepare. Learning Morse code is not required (this is necessary only for third, second and first categories). For the exam bring with you documents, a list of which you can provide in advance. Arriving at the club, complete the form, then hand over the exam. Then the club representative without your participation will send the result of exam at the local radio frequency centre. The answer you will receive in the mailbox of her house. Taking it with you, buy a radio station. You can make it yourself - Amateur radio, unlike the discussion above, certification is not required. Then with the purchased or manufactured by the radio station and the received documents come in the RF center. There it will check for compliance with the applicable standards, and then send you home two the necessary documents, one of which will be explained on assignment to you and the other Callsign. After that, proceed to the use of the radio station.